1. Login to your LinkedIn account. 2. Go to Profile and select “Edit Profile”. 3. 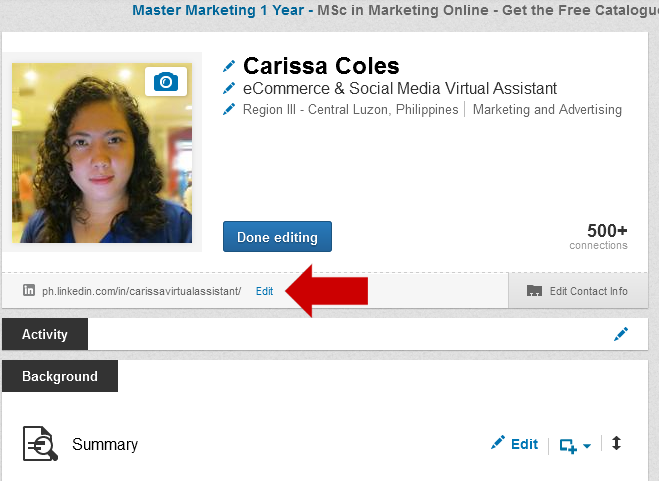 Under your profile photo, find the public profile URL and click “Edit”. See screenshot below. 4. 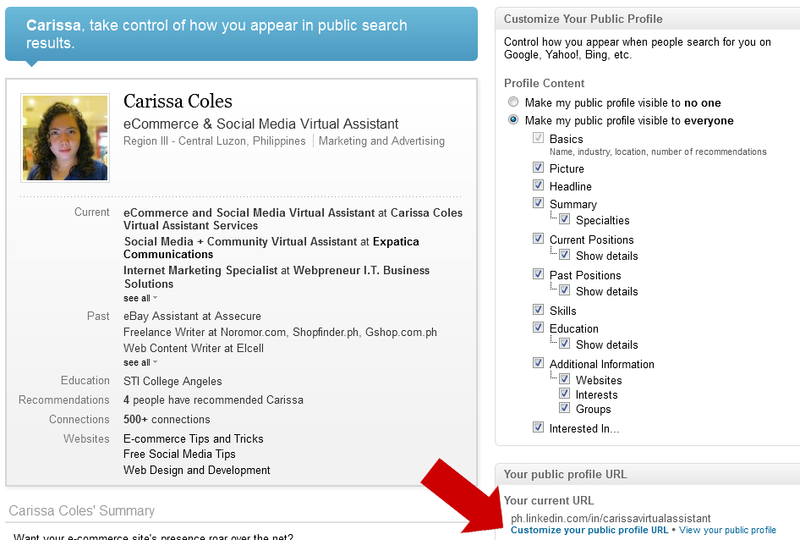 On the right side, find the “Your Public Profile” and click the “Customize your public profile URL”. See screenshot below. 5. Enter your desired URL. It must contain 5-30 letters or numbers, no spaces, symbols, or special characters. 6. Click “Set Custom URL”. URL must be unique. If it is unavailable, you’ll have to choose another. Now you can use this URL on your website or anywhere else you want it to be published. Now tell me about the LinkedIn public profile URL you want. Is it a combination of your full name and company name or company name with a keyword.